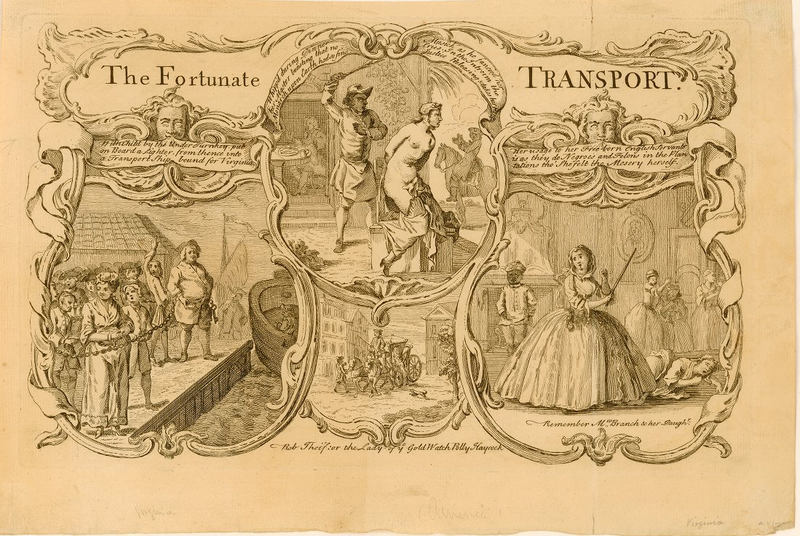 The Fortunate Transport, Rob Thief, c1770, John Carter Brown Library. 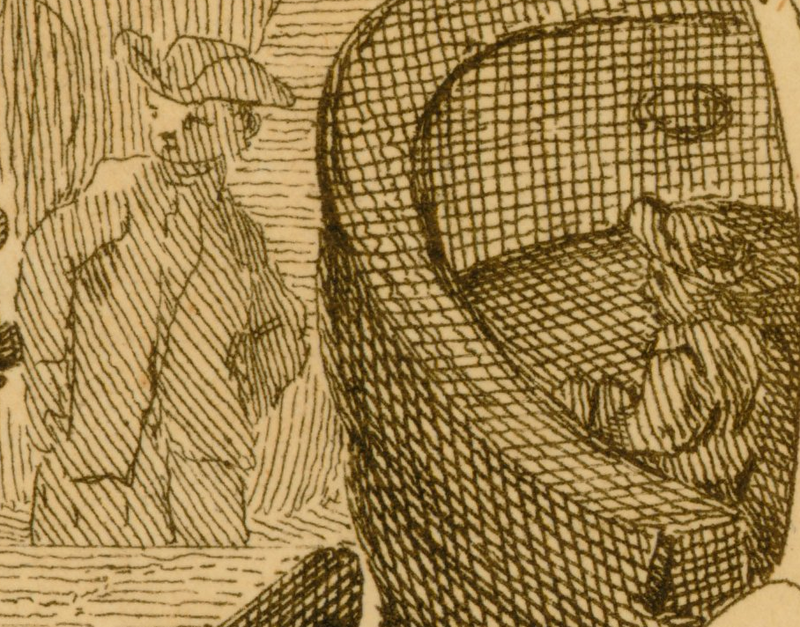 Convict servants, though distinctly different from those suffering slavery, was often equated to slavery within the British imagination. 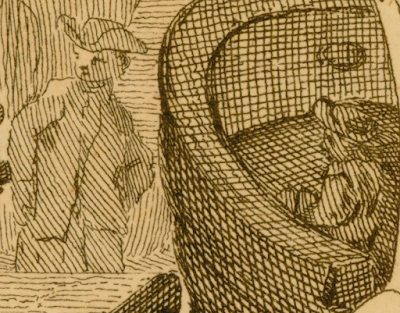 In this print, an unnamed convict woman, pregnant with one of her jailer's child, is sent to Virginia, where she is whipped by a black man at her master's request and to his sadistic pleasure. When a justice witnesses her unjust punishment, he releases her from servitude. In this, at least, the British understood a difference between slavery and convict servitude. When she is freed, and now named Mrs. Branch, she treats her "Freeborn English Servants...as they do Negroes and Felons in the Plantations," learning nothing from her trials. The name is probably a play on the instrument she uses to beat a prostrate woman before the worried eyes of her slaves and servants. 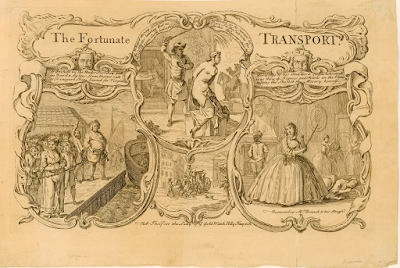 At the beginning of her journey, chained to fellow transports, she is led to a waiting ship. Ashore and afloat are a pair of sailors waiting to carry her to further suffering. One wears a single breasted jacket and a pair of petticoat trousers, with what appears to be a very loose cocked hat.Aboard ship, his mate wears a round hat with an upturned brim and a short jacket without vents.